Will You be Driving an Electric Car on Your Timeshare Vacation? Soon you will have a greener option when renting a car for your timeshare vacation. Enterprise Rent-A-Car plans to introduce the electric car to its customers as early as January, 2011. "There's quite a bit of buzz about electric cars, and customers already are asking us when we're going to get them," said Lee Broughton, Enterprise's Director of Sustainability. 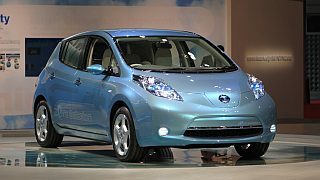 Enterprise Holdings, which also includes the brands Alamo and National, announced in July, 2010, that it would purchase up to 500 Nissan Leaf electric vehicles, and an announcement in October, 2010, said the rental car company will also purchase 100 CODA electric sedans. CODA Automotive is a California-based electric car and battery company. The CODA Sedan will be the first mainstream all-electric sedan from an all-electric car company. “The CODA’s dependable, all-season range is a perfect match for the driving conditions found throughout Enterprise’s neighborhood network of car rental locations,” said Kevin Czinger, president and chief executive of CODA Automotive. The Enterprise electric cars use no gasoline at all, but rather can be charged a 220-volt or 480-volt commercial charging station. The newest generation of electric vehicles is designed to go between 90 and 120 miles between charges, in all kinds of weather. In addition to battery storage, the cars have room for 5 passengers, and a full-sized trunk. Enterprise will initially offer electric vehicles in 8 U.S. cities: Seattle, Portland, OR, Los Angeles, San Diego, Phoenix, Tucson, Nashville, and Knoxville, TN. The company said it wants to make sure employees are properly trained in showing customers how to use and charge the cars, before expanding the program. Enterprise will begin installing vehicle charging stations in 30 U.S. cities in November, 2010. Enterprise Holdings has long been in the forefront of the "green driving" movement, officials said. It already operates the world's largest fleet of fuel-efficient vehicles, including nearly 7,000 gas/electric hybrids.